What will be 2019’s landmark sporting events at your school? AH: Following on from the success of our first-ever NGHS girls-only training regatta in the summer of 2018 at Holme Pierpont, we are really excited to be moving forward to introduce a rowing training weekend. We are planning to invite rowers and coaches from our other GDST Trust schools to join us for a weekend of high-quality training and competition. DB: We are heading into the Lent term with a full rugby sevens programme, this will conclude with the U13s, 16s and 18s at Rosslyn Park, a full boys’ hockey programme and girls’ netball. Girls’ cricket is emerging in the school, will we have the numbers to field our first girls’ XI. Girls’ and boys’ tennis both have full fixture lists. Alongside all of these are the newly invigorated house events, each house competing in all the major sports on a Saturday afternoon in each term. KH: For us this will definitely be travelling with our senior squad to the National Schools’ Lacrosse Tournament at Aldershot Garrison in February and taking our teams to watch the Netball World Cup in July. 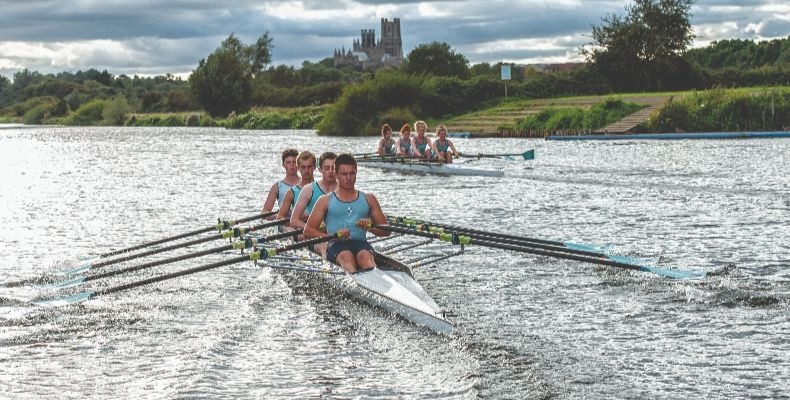 JT: The Henley Royal Regatta for our rowers, the Rosslyn Park sevens for our rugby boys and we will be looking to retain the Mercian League with a 1st XI football team again this year, having won it for the last two years. CM: The start of the football and rugby seasons are always an exciting time. Our extensive fixture programme enables hundreds of boys to play competitive team sports against some very challenging opposition. The anticipation of the early rounds of the Independent Schools’ Football Association Cup and the Champions Trophy set the tone. Our boat club prepare all year ready for the spring regatta events, the National Schools’ Regatta and the Henley Royal Regatta. The early summer cricket fixtures against MCC, Eton and Harrow are always an enjoyable challenge. CP: The Dorm Run and Clumber Run is the schools’ annual cross-country competition where the schools seven houses compete for a trophy dating back to 1913, although the first documented race took place in 1897. The whole school community take part in the race after weeks of training, with the winner taking their place among the elite of the school. The course record was set by Jack Buckner who went on to compete in the Olympics. Do have any new sporting initiatives or facilities this year? AH: Our school playing fields are currently undergoing the final stages of planning for a hockey AstroTurf pitch and a 3G football pitch, along with a wonderful pavilion and viewing area. DB: The Prep School will soon be embarking on a new multi-purpose sports hall to complement our existing sports hall at Senior School. KH: Redevelopment of existing facilities will result in a much-needed all-weather playing surface in September. 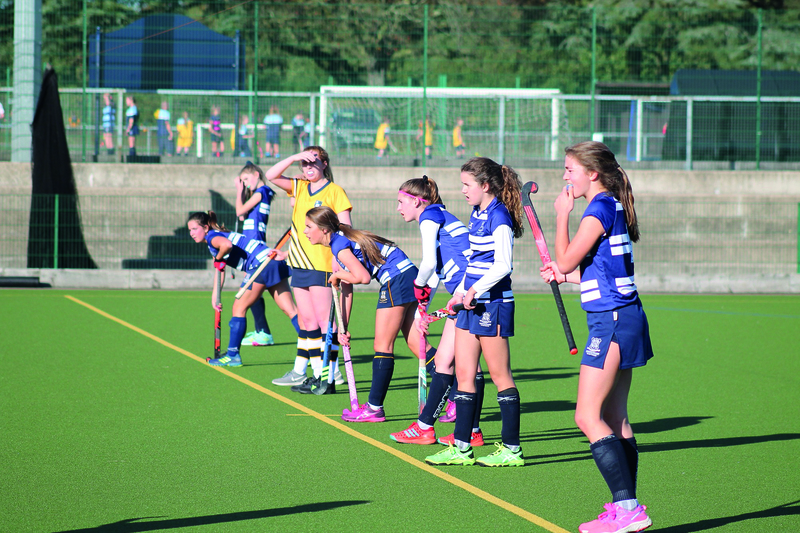 This will afford us the opportunity to branch out into offering hockey alongside the current main girls’ winter sports of lacrosse and netball, which the girls are very excited about. It will also provide further opportunities for growing girls’ football. JT: We have added 16 new cricket squares and are planning to open a new strength and gym facility at our boathouse, which is just a five-minute walk from school. CM: We have upgraded our senior rugby pitch and several junior football and rugby pitches. The new drainage is already having very positive effects, ensuring that the grounds are in optimum condition and more matches can be played. Upgrades being planned in the next few years include the replacement of the outdoor cricket nets, a new synthetic cricket wicket, upgrading our front tennis courts, adding to our outdoor basketball courts and the relaying of a new 3G/4G surface. CP: We were proud to unveil our new Golf Analysis Facility in late 2018. The two-bay facility allows our golfing scholars and the wider school community to learn and develop their golfing skills in a controlled environment using the latest technology. AH: This year’s slogan with our girls’ staff and parents is ‘Just do it!’. Our overall goal this year is to continue to pursue excellence whilst at the same time, ensuring that all girls engage in physical activity. Getting involved in something new and giving it a go is key to achieving our aim. In doing so, we inspire our girls to be confident in all things, enjoying challenges not only in sport, but also in their everyday lives. DB: To continue to inspire students, increase our pupil development and create further opportunities for all students in whatever sport/field they choose. We aim to develop and enhance the strength and conditioning programme which covers core fitness, injury prevention and rehabilitation. We also aim to energise, develop and deliver the staff training programme and to witness them being stretched and supported appropriately. KH: To continue building on the stimulating enrichment opportunities available for our able and talented pupils in sport. We have close links with the Exercise Science Department at the University of Bolton, which provide seminars for these pupils in their state-of-the-art fitness labs. Water polo is also currently being developed with a thriving club now in full swing for our Year 7 and 8 girls. JT: My main aim is to instil high standards and a real sense of culture through sport throughout the whole of King’s Ely. CM: To continue to give opportunities in sport for our pupils to enjoy, develop and challenge themselves. To embrace new approaches which excite and challenge our pupils and sports teachers. CP: We are constantly building our sports programme in both our elite performers and also for those students for whom participation is the main goal. 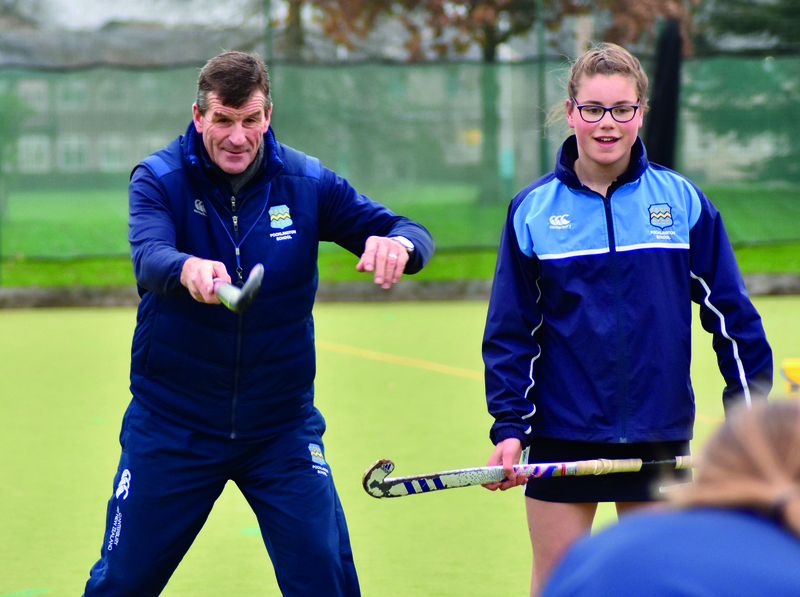 Increasing participation across a range of sports while still providing a quality experience and environment for old and new pupils are ongoing goals of the school. Tell us about any sporting trips planned and their hoped-for outcomes? AH: Tours and sports trips form a large part of our sporting offer. This year we are excited to be travelling with our current Year 7 and 8 girls to Barcelona for our first-ever football tour. As current winners of The Nottingham Post U19 Team of the Year at their most recent awards event, we are thrilled to be able to offer these girls an opportunity to train with RCD Espanyol coaches, visit the famous Nou Camp and compete against quality level Spanish opposition. DB: Trips that we have planned for the next two terms are Rosslyn Park for the U18s, U16s and U14s with a view to finish the sevens season in style. The summer term will see the 1st XI cricket travel to Edinburgh and the senior girls’ tennis squad will travel to Eton. Both festivals are in the first week of July and positive outcomes in either will round off an excellent year of sport here at Pocklington School. KH: Two regular trips run every year in September. The senior lacrosse and netball squads tour Edinburgh for the weekend – this ties in with the Edinburgh University Open Day and a number of our best players have gone on to study there. We play fixtures against some of the boarding schools, club sides and the Scottish U19 lacrosse squad. We also take Year 9 to compete in the GSA Independent Schools’ U14 Netball Tournament at Condover Hall. The girls get to meet players from the England squad, enjoy team-building activities and are matched against independent schools from across the country that they wouldn’t ordinarily get to play. Both trips are hugely popular and great team-bonding experiences. JT: We organise a number of sporting trips throughout the school year, and have a number of rugby, football, tennis, netball and cricket trips planned for the year ahead. Giving pupils the opportunity to travel and learn about new cultures within sport is hugely important. CM: The senior footballers have their annual pre-season camp in Colchester. The U15 footballers travel to Porto, Portugal for their annual half-term trip, while the juniors go on their biannual trip to Ajax in the Netherlands. Our senior rugby players are looking forward to their summer South Africa Tour and the U15s will have their pre-season in Biarritz. Cricket will have the U15/U14 development tour to UAE and the seniors will tour India over the Christmas period. The senior rowers travel to Seville to prepare for the regatta season. How do you see PE and school sport contributing to wellbeing in your school? AH: Sports has a huge part to play in daily life here at NGHS. Girls have a minimum of two to three hours of PE in curriculum time, and our enrichment offer is extensive before school, at lunchtimes and after school. This framework provides many opportunities for girls to experience a balanced approach to their academic studies and engagement in sport. 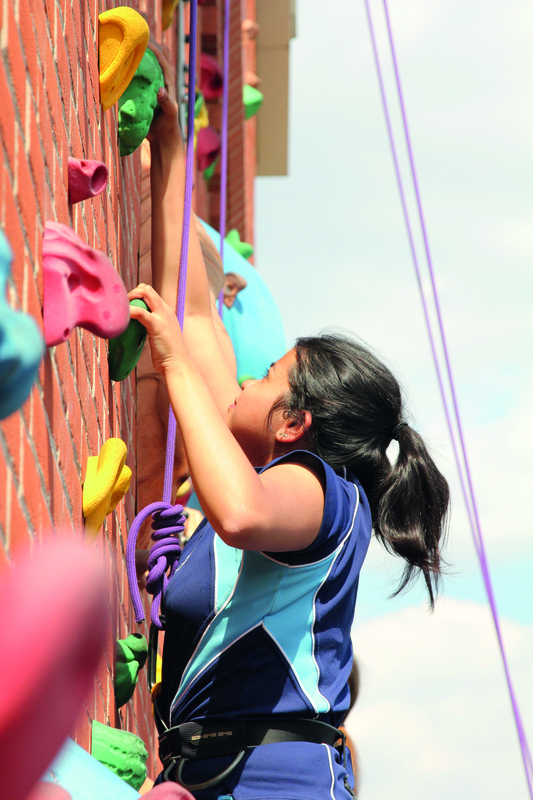 Sports tours, Girls’ Day School Trust-wide sporting rallies, Saturday fixtures and opportunities to participate in and complete the highly esteemed Duke of Edinburgh Awards, all serve to enhance and positively impact every girl’s overall physical and mental wellbeing. DB: Sport is for everyone and this is certainly the ethos here at Pocklington School. All students are expected to maintain their sporting activity until they leave in upper sixth and we aim to put on a wide range of fitness activities which will appeal to the youngest students as well as the young men and women in sixth form taking A-levels. There are clear links between physical activity and good mental health, so the work of our PE department is fundamental to our wider wellbeing programme. KH: We are very proud of the diverse range of sports girls can access in school, from traditional sports like rounders, tennis and athletics to more specialised activities such a karate, rock climbing and Pilates. 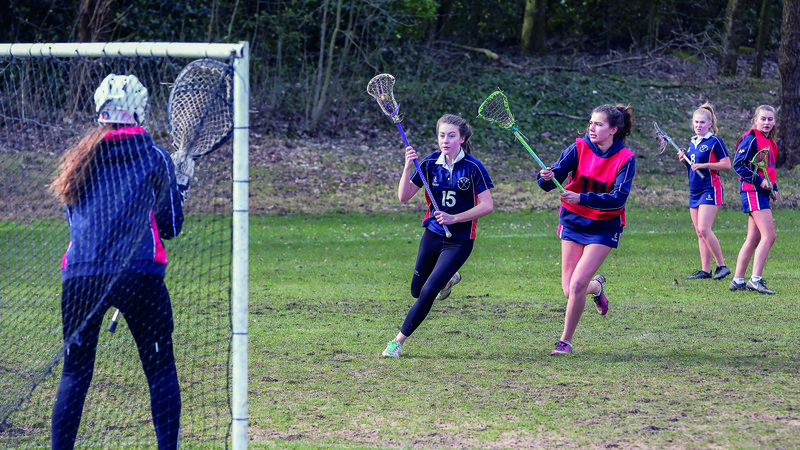 The participation levels in both lessons and extra-curricular clubs is phenomenal with over 80% of girls in Years 7–9 being actively involved in one or more sports at lunchtime or after school throughout the year. JT: Sport and physical education are imperative to people’s wellbeing and at King’s Ely, the variety of sports and activities on offer play a vital role in our students’ wellbeing and happiness, both physically and mentally. CM: At Hampton, we believe that an all round balanced education, both inside and outside of the classroom is integral to nurturing happy and fulfilled young people. A key part of a balanced education is the provision of exercise and sporting opportunities and we pride ourselves on the wealth of opportunities open to all our pupils, ensuring that each child can find a sport that he enjoys. CP: What better way is there to break the cycle of academic work than to get active, learn new skills with friends and improve fitness and all round wellbeing than being involved in PE and school sport? For those 30–90 minutes of sport that happen throughout the week, students can immerse themselves in the moment, freshening their minds and bodies and, as many studies show, prepare them for greater learning in the classroom. What do you see as the current challenges of providing high-quality PE and sport? AH: We continue to develop the non-traditional sports of cricket and football to encourage our girls to break down society’s stereotypes of what sports are available for girls and women to participate and excel in. It is exciting to be part of the revolution currently trending in UK sport and with such inspirational role models so readily available, such as the England women’s football and cricket teams gaining international success, our challenge is to make sure our girls continue this momentum and ride this exciting wave. DB: The recruitment of quality staff to support and replace the existing team that we have. We currently have an outstanding team of committed colleagues, keen to share and inspire students in all of the mainstream sports. As staff move on, it will be vital to maintain this level of staff expertise and energy. KH: I suppose time has to be one of the biggest constraints. Girls at Bolton have a broad range of interests including music and drama, which can see them often trying to be in two places at once. They become very good at juggling their time! Shared sports facilities see the PE curriculum structured tightly around access to sports halls and swimming pools. There isn’t a single minute of the day where these spaces are not being used! JT: Facilities and having enough time with the students! CM: The vibrancy of the school means that our pupils are always busy and challenged. PE is part of the junior school curriculum and covers health, exercise and wellbeing, enjoyment through play, time away from the classroom and developing sporting ambition while supporting progress through physical challenges. On the sports fields and on the river, we imbue in our pupils the importance of ‘sportsmanship’. We pride ourselves just as much for our reputation for sportsmanship as the trophies added to the cabinet. CP: There are several other alternative activities, perceived pressure of academic work as well as sometimes a lack of enthusiasm that we all have from time to time. We aim to combat these by creating an environment where students feel inspired to give their best and be proud of their efforts.